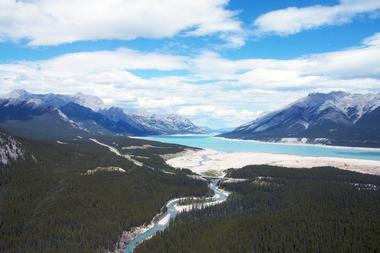 Canada is a vast and diverse geographical wonderland. Each province shares its own personality and offers unique gifts to the adventure-hungry traveler. Kayaking the pristine aqua lakes in Banff National Park, precariously walking the ledge atop the 1,465-foot CN Tower in Toronto, or sifting through 3 million war artifacts at the Canadian War Museum in Ottawa give travelers a taste of this grand country’s offerings. 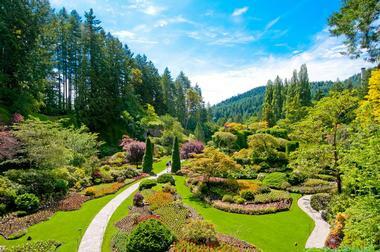 From the ornately manicured gardens of Butchart Gardens to the cantilevered walkways clinging to the granite cliffs of Capilano Suspension Bridge Park, Canada fulfils every traveler’s dreams. Jasper National Park is located in Alberta, spanning 6,835squaremiles, and is part of the Canadian Rocky Mountain Parks UNESCO World Heritage Site. It is the biggest national park in the Canadian Rockies, featuring alpine meadows, mountains, rivers, forests, and even glaciers. 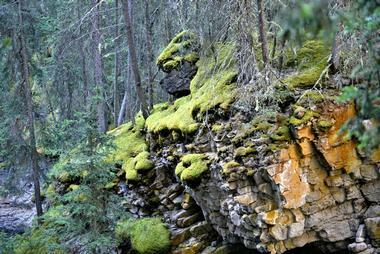 Roughly 70 mammal species thrive in this park, including moose, grizzly bears, and elk. There are over 615 miles of hiking trails and more than 12 miles of multi-use and bike-friendly trails. This is also a coveted place to go camping, with backcountry, forested, and lakeside options available. Watersport enthusiasts will not be disappointed with the several lakes and beaches as well as Hidden Cove, ideal for canoeing and kayaking. Depending on the level of adventure a traveler is seeking, experiencing Algonquin Provincial Park can be done in one of two ways. 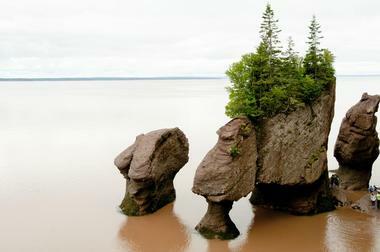 Most will probably opt for the 56 kilometersof Highway 60 that cut through the park offering eight campgrounds and14 hiking trails. Three stops along the way explain the cultural and natural history of the park:the Algonquin Visitor Center, Algonquin Logging Museum, and Algonquin Art Center. 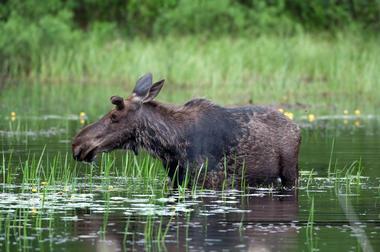 In spring, visitors should keep an eye out for moose along the highway. More adventurous types may want to explore the rugged interior of the park, which includes thousands of pristine lakes, epic ridgelines, and dense maple hills. 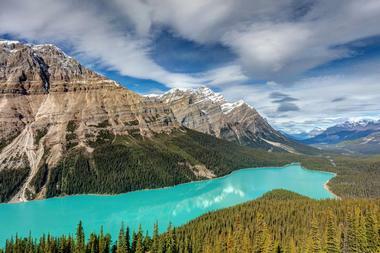 Banff National Park has the distinction of being the first national park in Canada. Over three million visitors per year visit this flagship park. As part of the Canadian Rocky Mountain Parks, a UNESCO World Heritage Site, Banff offers visitors a plethora of outdoor activities all yearround. Visitors can mountain bike 190 km of trails, hike 1,600 km of maintained trails, cross-country and alpine ski, explore mountain villages, take scenic drives, and watch or photograph the park’s abundant birds and wildlife. One highlight visitors won’t want to miss is the Cave and Basin National Historic Site with its hot mineral springs tours, star gazing, and live performances. Butchart Gardens is open all yearround, but to fully appreciate its beauty, visitors should try to go during peak season in July and August. Prior to visiting, it’s a good idea to download their Map & Guide, which is available in 22 languages and offers a brief history, plus descriptions of the five gardens – Sunken, Japanese, Rose, Italian, and Mediterranean, as well as Star Pond off the Japanese Garden and the Piazza between the Italian and Mediterranean gardens. There is a plant identification counter, where experts answer questions, a seed and gift store, and three restaurants. The visitor center also lends dog leashes, umbrellas, strollers, and wheelchairs. 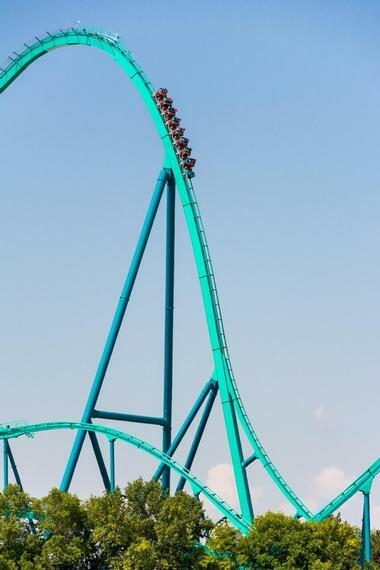 Canada’s Wonderland is the country’s premier amusement and water park. From heart-pounding rides to street festivals to live shows, this park has it all. There are over 75 rides that entertain kids of all ages, from Taxi Jam for the little ones to Soaring Timbers for thrill seekers. Splash park attractions, included in the Canada Wonderland admission, also cater to all ages from Splash Island Kiddie Slides to everyone’s favorite adrenaline rush, Muskoka Plunge. Riders can skip the line on certain popular park rides by purchasing Fast Lane or Fast Lane Plus wristbands. There are also plenty of shows to entertain as well as a stream of ongoing events. 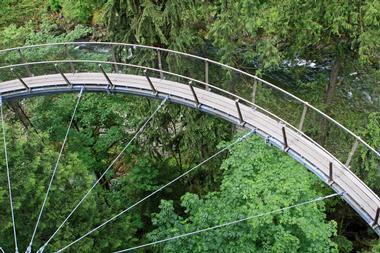 Capilano Suspension Bridge Park is fantastic fun for every outdoorsman in the family. The 27-acre park is built around its main attraction, the 1889 Capilano Suspension bridge, which stretches 450 feet across the Capilano River at a height of 230 feet. The sustainable park is easy on the environment and presents outdoor thrills for the traveler. Cliffwalk is a cantilevered walkway that clings to a granite cliff, and Treetops Adventure is a network of seven suspension bridges 100 feet above the floor of the forest. Visitors will find guided nature tours, the Kids’ Rainforest Explorer program, seasonal entertainment, a totem park, and a gift shop. CN Tower is the place to be for the single best views of Toronto. The LookOut Level offers floor-to-ceiling panoramic window walls that provide panoramic views like you’ve never seen, at an astounding elevation of 1,136 feet. Guests will also find the Horizons Restaurant on the LookOut Level. The Glass Floor offers guests a vertical view of 1,122 feet. The first of its kind, it spawned a bevy of see-through floor experiences around the world. The Outdoor Sky Terrace is also at this level. At an unbelievable 1,465 feet, SkyPod offers visitors interpretive exhibits. Guests can watch a pendulum demonstrate the tower’s sway in the wind. Edge Walk, the world’s highest hands-free walking ledge, encircles the tower. Horseshoe Falls is one of the three waterfalls of Niagara Falls, located on the Canadian side between Table Rock and Goat Island. 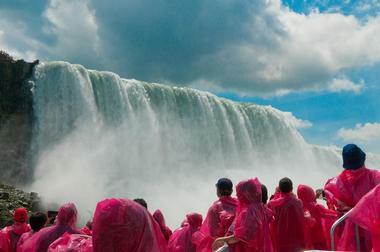 It is the largest of the three falls at a height of 173 feet and a width of 2,600 feet. 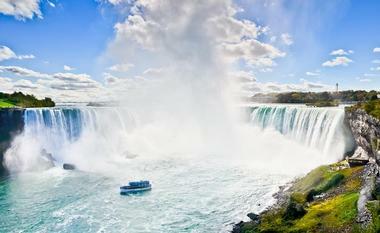 Roughly 90%of the Niagara River flows over this fall at an unbelievable rate of 600,000 gallons per second. For the best views of Horseshoe Falls, visitors should head to Table Rock or the Niagara Parkway south of the Rainbow Bridge. 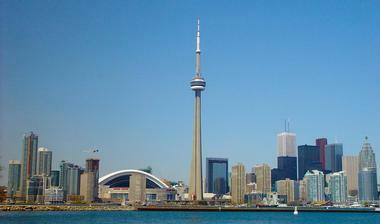 To get a sky view look, visitors can ascend the Skylon Tower. At night these magnificent falls are lit up in beautiful colorful lights, a truly breathtaking sight. For a completely majestic experience, visitors cantake a Journey Behind the Falls, where they’ll can stand in the heart of Niagara Falls. They will descend 150 feet through bedrock using an elevator to where a 130-year-old tunnel provides access to two portals, Cataract and Great Falls as well as two observation decks, Upper and Lower. The portals are one-third of the way behind the gigantic sheet of water,givingvisitors a completely unique experience of looking out through the falls while listening to the thundering sounds of the water. The Lower Observation Deck is especially awe-inspiring, as visitors sit at the foot of Horseshoe Falls, enjoying the water raining down on them. The National Gallery of Canada is the primary leader in displaying Canadian art with collections that uncover the past, celebrate the present, and delve into the future. Their world-class permanent collection features acquisitions from the 1880s to the present day and spans all periods of Canadian art. European art, Inuit art, photography, and contemporary American art are all largely represented here. Additionally, they feature a wealth of traveling exhibitions, events, and talks all yearround. There are also several tour options for groups and individuals as well as a self-guided audio tour. The Stimulating the Senses tour is especially unique, whereby visitors discover art usingall their senses except sight. 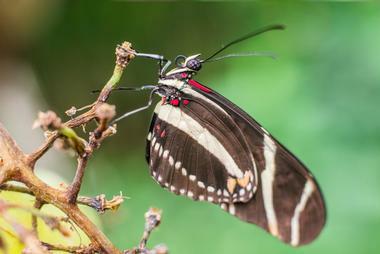 The Niagara Parks Butterfly Conservatory is located within the Niagara Park Botanical Gardens, a tropical paradise filled with serene trickling waterfalls, thick lush vegetation, and over 2,000 vibrantly colored butterflies from more than 45 different species. Visitors begin their self-guided journey with a brief but informative video presentation before traversing almost 600 feet of pathways. The emergence window is a highlight where visitors can watch in awe as butterflies leave their pupae and take off ontheir first flight. More than half of the butterflies come from the butterfly farms in El Salvador, Costa Rica, and the Philippines, while the others are raised on site in a quarantined greenhouse. 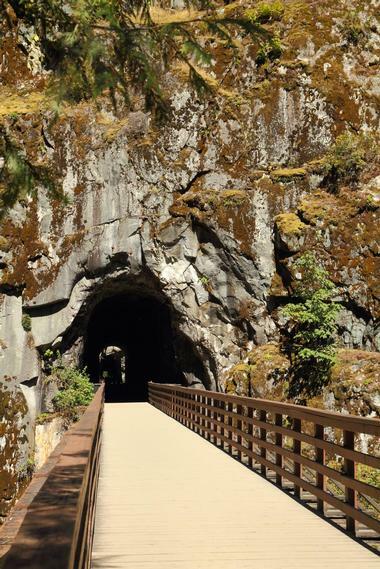 The Othello Tunnels are located within the Coquihalla Canyon Provincial Park and are a part of the Trans-Canada trail system. These tunnels are the remains of the Kettle Valley Railway, which was originally constructed to connect with the Kootenay region onthe southern coast of British Columbia. They were created by Chief Engineer Andrew McCulloch from 1910 to 1916, a challenging project that required him and his team to drillthrough solid rock, even through winter. The tunnels are truly amazing to look at and walk through while trekking on foot along atrail where entrances appear as massive archways. The Rideau Canal is a 19th-century historic waterway that was expeditiously constructed during a time of military threat, connecting a picturesque string of lakes and rivers. Today, it serves as an outdoor playground that provides a diverse collection of activities, where history perfectly blends with the tranquil Eastern Ontario countryside. Visitors can, kayak, canoe, or motor boat along this lock system any day of the week. Swimming at one of the sandy beaches and doing a little sport fishing are also common along the canal. It is even an ideal camping destination thanks to the lush greenery that surrounds the area, and offers plenty of cycling and hiking trails. Ripley’s Aquarium of Canada makes it amission to offer visitors a world-class experience that promotes conservation, education, and research while also offering fun activities and entertainment that appeal to all ages. 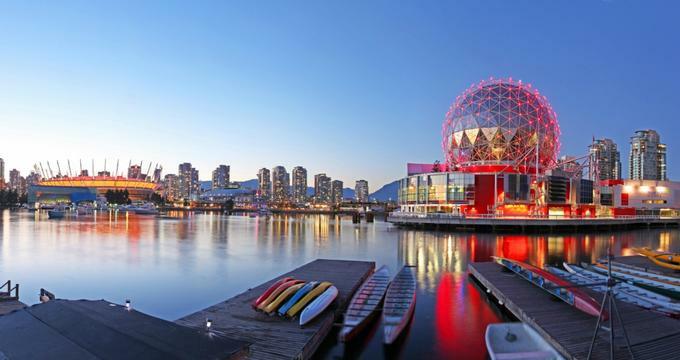 This aquatic park features 16,000 marine animals and has the longest underwater viewing tunnel in North America, with a whopping 5.7 million liters of water and more than 100 interactive activities. Ripley’s showcases daily dives every 2hours and features four touch exhibits with scarlet cleaner shrimp, horseshoe crabs, sharks, and rays. They also host a wealth of events and provide various programs such as the Sleep with the Sharks experience and Friday Night Jazz. 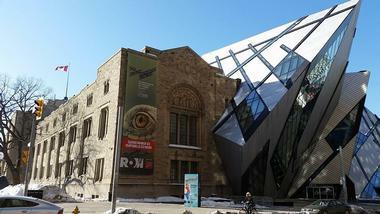 The Royal Ontario Museum (ROM) is one of the largest museums in Canada, featuring five floors of galleries. 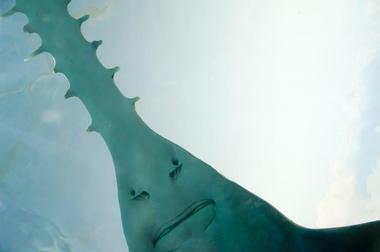 Among the exhibitions there are jaw-dropping dinosaurs, mysterious mummies, and glittering gems. Visitors can expect to enjoy a wide array of exceptional experiences as they explore how the Earth and its various cultures have developed and evolved as well as how the changes that take place today will shape the future of the world. Among the galleries are the Gallery of Chinese Architecture, Teck Suite of Galleries: Earth’s Treasures, Galleries of Africa: Egypt, and James and Louise Temerty Galleries of the Age of Dinosaurs. The Royal Tyrrell Museum of Paleontology is the only one of its kind in Canada, dedicated solely to the science of paleontology, housing one of the largest collections of dinosaurs in the world. The museum prides itself on providing a multitude of fun, educational, and creative programs that bring prehistoric times to life. The exhibitions are always changing due to the vastness of their collection; Lords of the Land, a previous exhibition, and Fossils in Focus, the current exhibition, feature some of the most scientifically significant and rare pieces of their respective areas. St. Lawrence Market has been the heart of the Toronto community since 1803, a place for families who live there to connect, and a place for visitors to indulge in the locals’ delicious food and exceptional wares. There are three main buildings that make up the market, the North Market, the South Market, and St. Lawrence Hall. 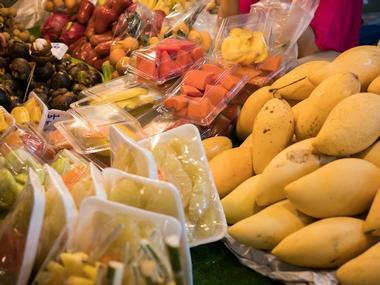 The South Market contains more than 120 specialty vendors offering a diverse collection of vegetables, fruit, fish, grains, meat, dairy products, baked goods, and a variety of non-food items. The North Market is utilized on Saturdays for a farmersmarket and on Sundays it serves as an antique dealer’s space. The hall houses retail businesses and city offices. 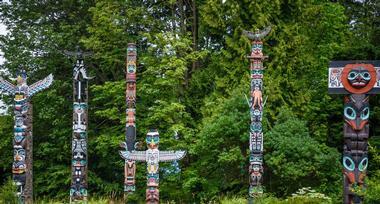 Stanley Park is the first and largest urban park in Vancouver, a designated national historic site of Canada. This green oasis is a breath of fresh air within the city’s urban atmosphere, with nearly 1,000 acres of natural West Coast rainforest and picturesque views of mountains, water, and majestic trees. The park features beautiful beaches, miles of trails, delectable eateries, and native wildlife as well as a plethora of cultural and natural historical landmarks. Stanley also features a wealth of experiences such as riding the park train, taking guided tours, swimming in the pool, and even visiting the country’s largest aquarium. The Enchanted Forest is an ancient fairytaleland featuring more than 350 fairy folk figurines that are beautifully hidden amidst 800-year-old cedar trees. In the 1950s artist Doris Neeham and her husband purchased a forest to serve as a home for her hand-sculpted cement figures from nursery rhymes and fairytales. They created a little gingerbread-style house to reside in within the forest,and constructed rock walls and cleared trails to createthe magical space that still remains today. Due to the opening of Rogers Pass, traffic began to make its way through their area and people took note so they opened their little oasis to the public in the 1960s. The Monkey’s Paw is a one-of-a-kind bookstore opened by Stephen Fowler in 2006 and named after a short story written by author W.W. Jacobs. This eclectic store features medical drawings on the walls and unique decorations like a stuffed crow sitting ata typewriter. Fowler’s book-lined interior is separated by four distinct categories that he chose, the arcane, the macabre, the beautiful, and the absurd. 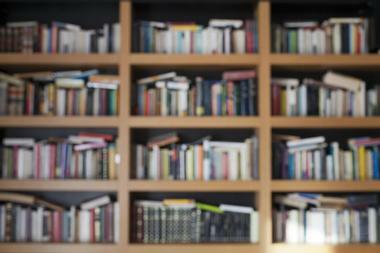 It’s an antiquarian’s oasis, where youcan find old books on a wide range of topics. It’s also the home of the custom-made vending machine known as the Biblio-Mat, which dispenses vintage volumes at random for just $2. 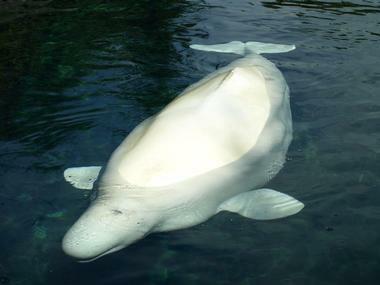 The Vancouver Aquarium is located in the heart of Stanley Park and is home to thousands of magnificent aquatic species. As an Ocean Wise initiative, it is also the headquarters where educators, conservation experts, and scientists work to protect the oceans and inspire others to embark on the journey with them. The aquarium has over 50,000 animals from all over the globe, which allows for a vast number of ever-changing experiences and activities. 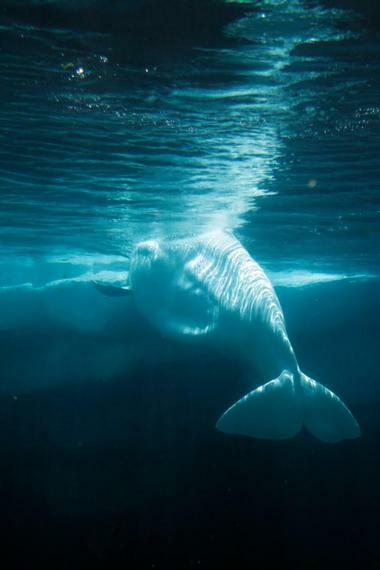 They host various shows throughout the day, where visitors can learn about their favorite animals or observe a creature they’ve never seen before as well as have close encounters with various marine animals. 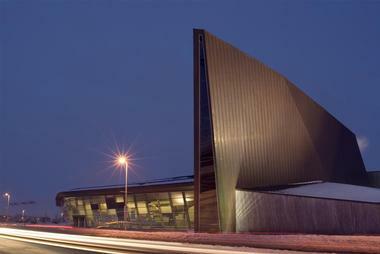 The beautiful waterfront Canadian War Museum is Canada’s authoritative national voice of military history. It is well respected throughout the world for providing an understanding of armed conflict. Founded in 1880, when it was a mere collection of military artifacts, it now welcomes about half a million visitors a year. Gallery exhibitions focus on the human experience of war. In total, the museum presents about 3 million artifacts, works of art, written documents, and audio-visual recordings. 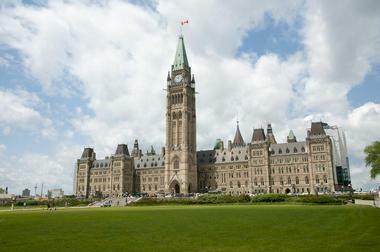 There are eight permanent exhibitions and numerous ongoing temporary exhibitions. The museum has a military research center and a searchable catalog of artifacts. There is also a gift shop with items related to the exhibitions. 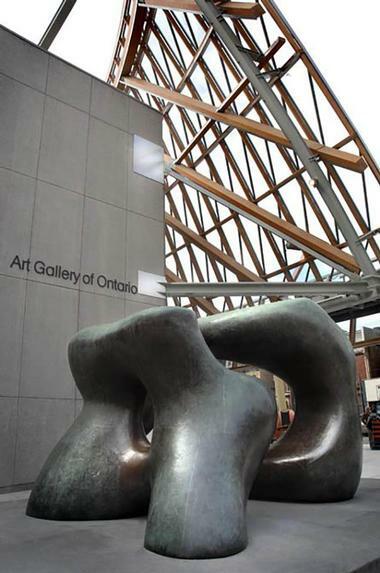 Toronto is the self-proclaimed cultural center of Canada, and the Art Gallery of Ontario is at its center, within walking distance of Yonge-Dundas Square and Chinatown. The AGO has permanent collections that include African and Oceanic, Canadian, European, Modern and Contemporary, and other installations. One way of making the museum experience more meaningful is by joining an hour-long tour that explores museum highlights, including collections and architecture. There are five daily tours, whichbegin in Walker Court. Pop Up, On the Dot Talks are 10-minute art chats on the half hour Wednesday and Friday evenings.Visitors can check the AGO website for past, current, and future temporary exhibitions.